The city is hoping to return the LRT to full service Thursday after 40 of the 97 trains were sidelined Wednesday morning due by a mechanical issue. The city hopes to return the LRT to full service Thursday after 40 of the 97 cars were sidelined Wednesday morning due to a mechanical issue. Routine inspections of the cars Tuesday night found damage to some overhead arms, Eddie Robar, branch manager for ETS, said at a news conference. The arms, called pantographs, deliver the electrical current from the overhead wires. 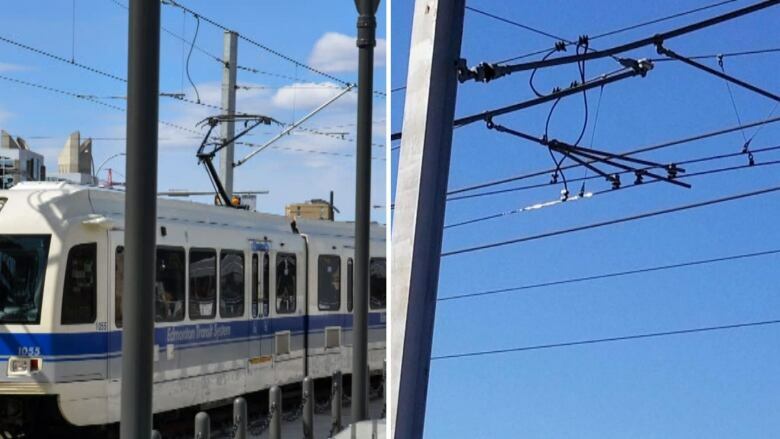 The city believes the pantographs were damaged by clipping a displaced catenary arm, which suspends the overhead electrical line. While the displaced catenary was detected and fixed several days ago, cars that passed under it had already been damaged. Forty cars needed repair and had to be taken out of service, Robar said. 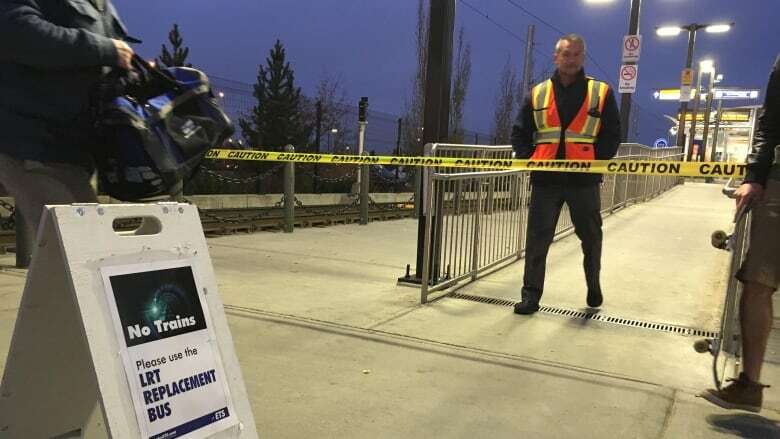 That forced ETS to close the Metro Line between Churchill Station and NAIT entirely, using buses to move passengers, while keeping the Capital Line running as normally as possible, he said. Fewer cars were running on the Capital Line between Century Park and Clareview and buses supplemented service between Southgate and University stations. Robar said the fix to the pantographs is fairly simple and LRT maintenance crews were returning four or five cars every couple of hours. The Metro Line between NAIT and downtown should return to service Wednesday afternoon, though maybe with fewer cars per train, Robar said. Both lines should be back in full service by Thursday morning, he said. "Right now we're fixing everything we can as quick as we can. We have an assembly line going at the shop trying to get these replacement parts in place." With 40 cars out of service, ETS acknowledged early morning commuters faced significant delays. "When you remove almost half your fleet, that's impactful," Robar said. Student Alicia Benak lives in Terwillegar and regularly takes the LRT from Century Park to NAIT. The LRT disruption means she had to drive her car to school Wednesday, she said. "To pay for parking and everything as a student, the cheapest place is 10 bucks," Benak said. "You do that a couple of times when you need to and it kind of adds up." Mayor Don Iveson told reporters at city hall he rode his bike downtown Wednesday morning rather than take transit. "It's a huge disruption and a big concern," he said. "I'm sympathetic to the impacts on Edmontonians." While he's concerned that such a significant portion of the city's fleet was damaged, Iveson said he's confident the cause will be "thoroughly investigated." "I'm glad that the routine inspections the city does to keep an eye on our infrastructure and our assets identified an issue before it deteriorated further," Iveson said.